The show Rue des Métiers d’Art is investing for the 8th year the capital of Périgord Vert in Nontron on October 27th, 28th and 29th, 2017. Next to the knives, noble crafts are highlighted. Decoration, tableware, jewelery and fashion accessories … all that is most beautiful in Nontron, Périgord and New Aquitaine is meeting for the 8th consecutive year in the capital of Périgord Vert. The Rue des Métiers d’Art trade show will be in full swing for three days on October 27th, 28th and 29th, 2017. Visit the city to contemplate unique pieces and small series, in earth, glass, wood, textile, metal, leather … Imagined by more than 30 creators and craftsmen. rue des métiers d’art Nontron 2017Créatrice of the oldest knife in France, the Nontronnaise cutlery will highlight the expertise of its cutlers. 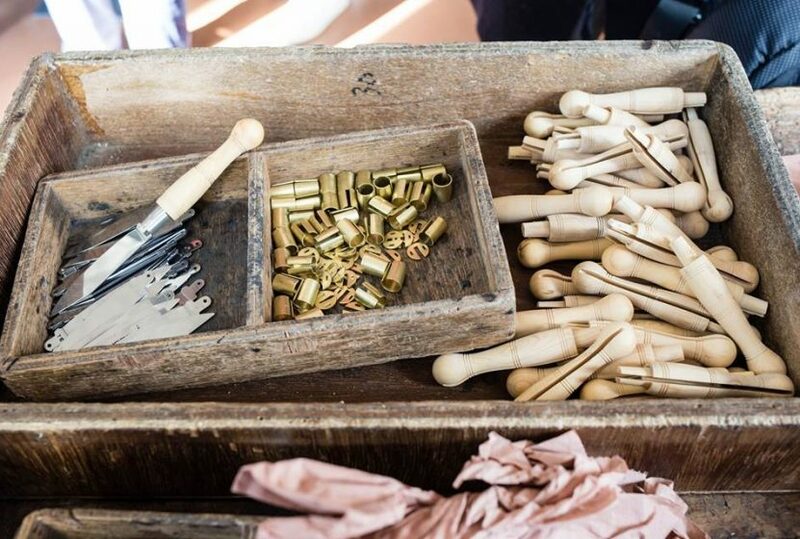 This year no booth with demonstration to the public but the opportunity to visit the workshop of the place Paul Bert Friday, October 27 from 9am to noon and from 13:30 to 17:30. Many models of Nontron knives of traditional tables and folding will be visible in our shop Rue Carnot open Friday and Saturday from 9:30 to 12:30 and from 14 hours to 19 hours; meet on Sunday from 9.30am to 12.30pm and from 3pm to 6pm. 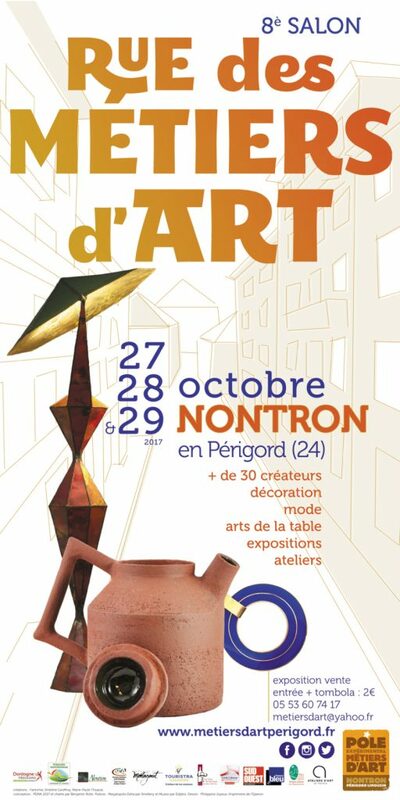 To admire the latest craftsmanship made in Périgord, head for the streets of Nontron and the Place du Château where the Experimental Pole of the Crafts will look great with the continuation of the exhibition “EXTRAVAGANCES – Art Crafts” (cf .post). A shop will also be installed as well as demonstrations accessible to all. The rest of the year, crafts are lived and transmitted to Nontron with weekly courses in ceramics, upholstery, drawing, wood carving, stone carving and stained glass for children, teenagers and adults, in individual or small groups. Open to both neophytes and savvy amateurs, these classes take place at Espace Métiers d’Art, 48/50 rue Antonin Debidour. Information and registration at the Experimental Pole of Crafts: 05.53.60.74.17.